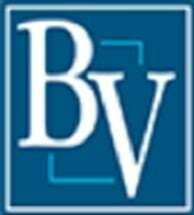 Serving Washington County and the rest of southwestern Pennsylvania for more than 70 years, Bassi, Vreeland & Associates, P.C., offers a level of stability other law firms in the region simply cannot match. During that time, we have become one of the leading legal practices in the area for all civil matters affecting your life, your family, your business and your future. As local attorneys, we care about the legal matters that affect the members of our community, and we promise to fight hard to help you protect your rights and interests while working tirelessly toward achieving the favorable outcomes you expect and deserve. Over the years, we have acquired a long record of success both inside and outside court, and in 2017, we won the People's Choice Award from the Observer-Reporter. For more information on how Bassi, Vreeland & Associates, P.C., can best serve your needs while helping you secure a brighter future for yourself, your family and your company, you can contact our law office or visit our website to schedule a free initial consultation. Charleroi Federal Savings & Loan Assn. Farnhem & Pfile Construction, Inc. Greater Charleroi Industrial Development Corp.
Middle Monongahela Industrial Development Association, Inc.